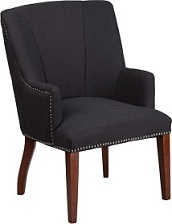 Traditional side chairs are famously adorned in law offices. 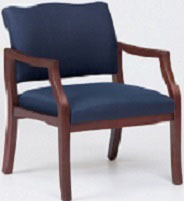 In reception areas and waiting rooms or lobbies, and usually take the form of upholstered chairs with high wing backs. 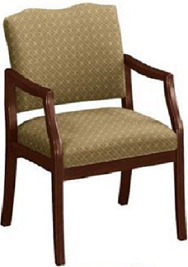 If you need traditional side chairs for your office, please take a moment to view our wide selection at office-chairs-discount.com. From traditional to contemporary, simple to ornate, we have a variety of traditional side chairs to suit any taste. 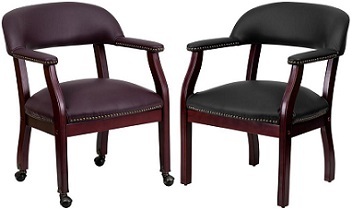 Both stylish and functional, side chairs complete the look of any commercial space, whether it is a hotel, conference room, or executive office. Sometimes, traditional office side chairs can be linked together in rows, as is the case with modular furniture and stackable chairs. 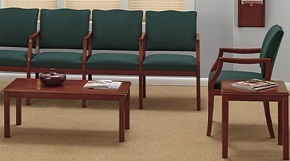 Such seating makes versatility a breeze in multipurpose rooms or small spaces. 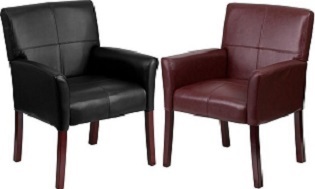 Should you need armchairs or wing back chairs, sofas, benches, or settees, you will also find a large selection of those at discount prices, here at Office-Chairs-Discount.com. Shopping online with us is easy and convenient and can save you money, particularly because most of our furniture comes with free shipping and no taxes. 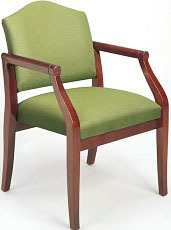 We are happy to assist you in choosing fabric types, wood stain finishes, or colors. 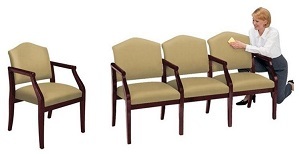 Please feel free to contact us for all your office furniture needs.